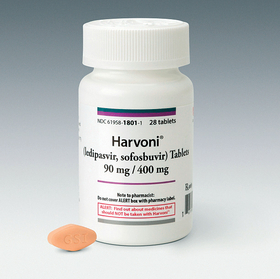 Gilead Sciences' plan to sell lower-priced generic versions of chronic hepatitis C treatments Harvoni and Epclusa has raised provider hopes that the move will accelerate state efforts to improve access to such treatments among Medicaid and inmate populations. Gilead said it will set the price at $24,000 for a course of treatment, which is a sharp drop from the average of roughly $55,000 to $95,000 charged since 2014 for similar treatments. “The more access we can provide to our patient population that is suffering from this devastating disease, the better outcomes in the future, and it will decrease all the medical dollars to be spent on them literally for decades,” said Dr. Alhareth Al Juboori, a gastroenterology specialist at University of Missouri Health Care in Columbia. The groundbreaking treatment Sovaldi raised the hopes of millions infected with the disease when it came to market in 2014. But the $84,000 price tag struck panic among leaders of state Medicaid agencies and prison systems throughout the country who feared an influx of patients seeking the drug would send their budgets skyrocketing. In response, many public and private payers put up restrictions to patients accessing Sovaldi and similar treatments that subsequently entered the market over the past four years. Such restrictions have included granting access to only those with severe liver damage, requiring abstinence from alcohol or substance use, allowing only specialists to prescribe such treatments and requiring patients to go through additional steps. Matt Salo, executive director for the National Association of Medicaid Directors, said many states never saw the expected influx of Medicaid enrollees seeking treatment, likely discouraged by the restrictions that states adopted. But states have improved access to hepatitis C treatments for their Medicaid populations in recent years, he said. Al Juboori said he too has seen an improvement the past two years in Missouri's Medicaid coverage for hepatitis C medication. Missouri is one of a handful of states without any of the three major access restrictions to hepatitis C medication. In 2016 a court injunction barred the state's Medicaid program from enforcing its limits on hepatitis C medications based on sobriety, which required patients to abstain from alcohol or substance use for three months prior to starting treatment. Missouri also limited access to hepatitis C drugs to those in at least Stage 3 of liver disease. By 2017, both limits were eliminated, earning the state a grade of A from Harvard Law School's Center for Health Law and Policy Innovation in its 2017 hepatitis C Medicaid Access Report. Al Juboori questions, however, whether his state's effort to improve access to hepatitis C drugs resulted from cost reductions since he has not seen much of a drop in the price of hepatitis C medications over the past four years, even with the entry of at least six new drugs following Sovaldi's release. Many analysts see Gilead's plan as a direct response to the approval last year of AbbVie's hepatitis C drug Mavyret, which entered the market at a list price of $26,400. He said there is now greater awareness of the public health and economic benefits of providing hepatitis C drugs when compared to the long-term healthcare burden related to chronic hepatitis, which occurs in up to 85% of cases and is one of the most common reasons for liver transplant. Even if Gilead's launch of generic versions of its drugs sparks significant price drops for the other hepatitis C medications now on the market, both Al Juboori and Salo agreed that ultimately stigma will play a big role in determining whether state lawmakers are motivated to provide Medicaid agencies with the funds needed to provide such treatments to their vulnerable populations. “It's 2018, and unfortunately we still judge people for what they do, and it should be totally separate from the issue of their healthcare,” Al Juboori said.